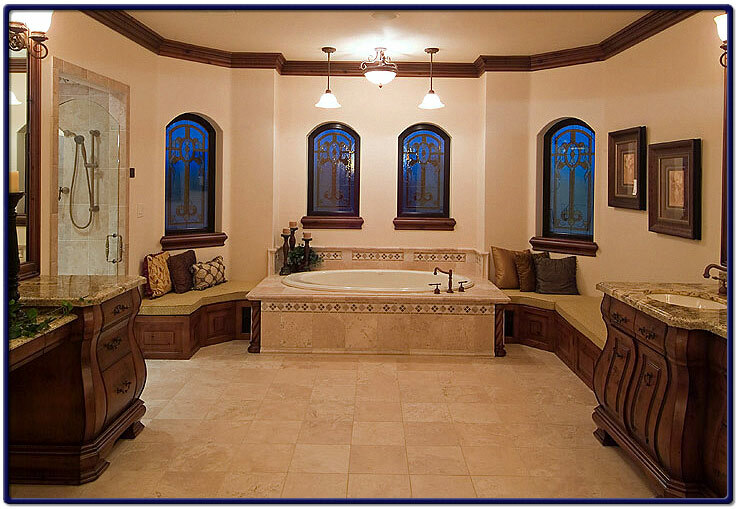 Pictured below is an image of a large bathroom in a custom luxury home. The bathroom floors are composed of Travertine tile and the windows are made of stained glass for light yet for privacy. To the left of the large bath is an enclosed shower. Decorative tile are placed around the foundation of the bath itself with deep rich wood cabinet furniture selectively positioned to add a touch of Mediterranean elegance.